Top 40 Billboard charting metal act, Wovenwar, will be embarking on their next North American tour in January of 2015. 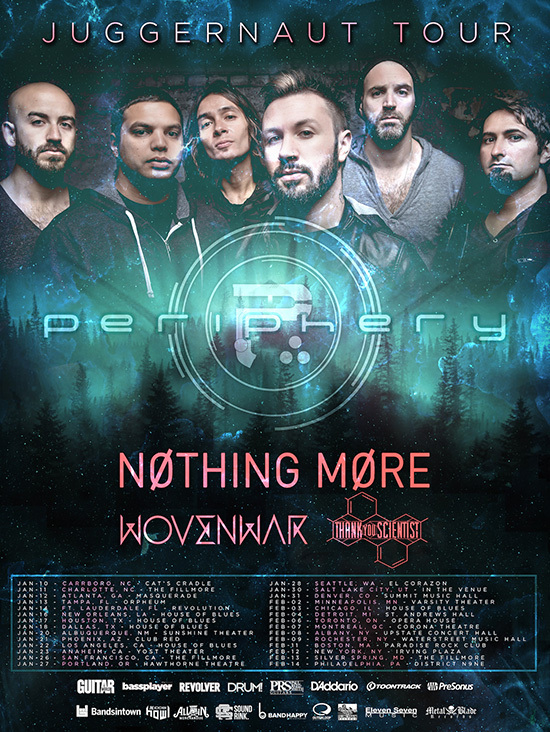 The band will be supporting Periphery, along with Nothing More, and Thank You Scientist. The tour is scheduled to begin on Jan. 10, kicking off a five-week North American tour at Cat’s Cradle in Carrboro, N.C. Tickets will go on-sale Nov. 7 with VIP packages available simultaneously via Soundrink.com.